Amazon is ploughing billions of dollars into India to win its e-commerce market, but the money is bringing about an unexpected bonanza for the country’s jobseekers. Amazon now has 1,300 job openings in India, the highest in Asia Pacific. The number of openings is also amongst the highest in the world — Amazon’s base location of the US has the most jobs, and India and Germany are neck and neck for number 2. Outside of India, Amazon has 467 openings in China, 381 in Japan, 250 in Australia, 13 in New Zealand, 70 from South Korea, 174 in Singapore and 10 in Hong Kong. 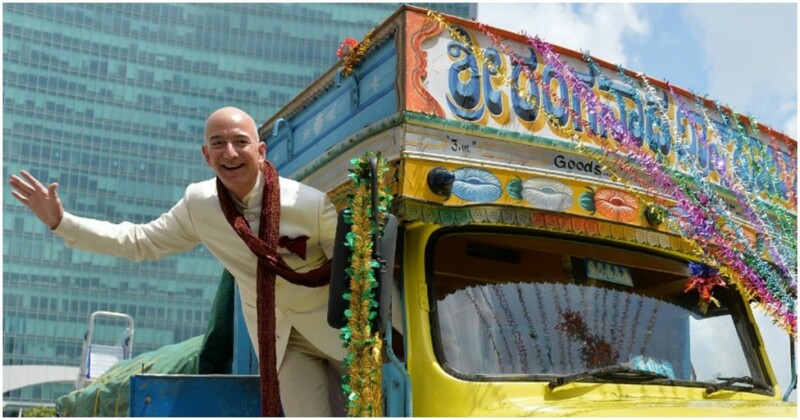 Amazon had entered India only in 2013, but has already built up a significant presence in the country. At the end of 2018, it had as many as 60,000 people directly employed in India. This was nearly 10% of its global employee numbers, which stood at 6.1 lakh. Most of Amazon’s new openings are for roles in Hyderabad, Bangalore and Chennai. “With our constant growth, we are always looking for some exceptional talent across levels,” said an Amazon India spokesperson. “(These are) in areas of software development, product & marketing, machine learning, quality assurance, web development, product management, supply chain, content development, operations, studio & photography and for other positions in the India consumer business. We have created thousands of skilled and semi-skilled jobs in India over the past decade,” she added. Within India, Amazon employees work on Amazon websites across the world, and also support payments, transportation, and digital products & services like the Kindle. The company is also expanding beyond its e-commerce and cloud business (AWS) into areas such as payments, content (Prime video), voice-assistant (Alexa), food retail and customer support. The bigger hiring numbers, though, will also give Amazon greater leverage in its ongoing tussle with the Indian government around how e-commerce is regulated in the country. New regulations from the Indian government prohibit platforms like Amazon from selling goods from their own channels like Cloudtail, and WS Retail for Flipkart. Amazon and Flipkart, for their part, have both been aggressively lobbying against the changes. And with the two companies now employing tens of thousands of people across the country, and looking to hire more, they can try make the case that their operations are creating jobs, and can be allowed some leeway into how they run their operations in the country. But regardless of how that debate plays out, Indian job seekers can now hope to see more job openings from the e-commerce sector, and that’ll come as good news for the country’s somewhat muted job market.